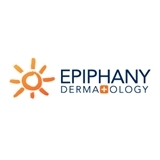 Epiphany Dermatology (Groesbeck) - Book Appointment Online! Dr Chung, was very thorough and answered all of my questions and concerns. She is warm but also very professional. Also her staff, especially Summer at the front desk were extremely helpful with an insurance "glitch"